There are two paths in life: Should and Must. We arrive at this crossroads over and over again. And each time, we get to choose. Should is how others want us to show up in the world — how we’re supposed to think, what we ought to say, what we should or shouldn’t do. It’s the vast array of expectations that others layer upon us. When we choose Should the journey is smooth, the risk is small. Must is why Van Gogh painted his entire life without ever receiving public recognition. Must is why Mozart performed Don Giovani and Coltrane played his new sound, even as the critics called it ugly. Must is why that lawyer in his thirties spent three years writing his first novel only to be rejected by three dozen publishers. He honored his calling, eventually received a “yes,” and that is why John Grisham is a household name today. I was also reading a biography about Picasso. 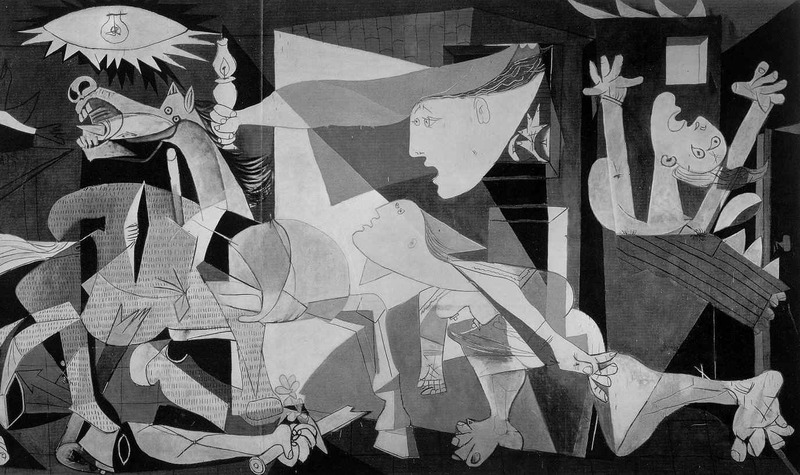 Picasso’s life blended seamlessly with his work. It was all one huge swirling mix of bullfights and beaches and booze. And we could tell. Because to look at one of Picasso’s canvases is quite literally to look into his soul. And this is exactly what happens when our life, our essence, is one and the same with our work. It’s when job descriptions and titles no longer make sense because we don’t go to work— we are the work. This entry was posted in My Blog, My Entries and tagged biography about picasso, coltrane, don giovani, Ella Luna, essay, global niche, mozart, paths in life, picasso, should and must, story, van gogh. Bookmark the permalink.